The 2018 World Aquatic Health™ Conference (WAHC) will take place Oct. 10-12 at the Charleston Marriott in Charleston, S.C. 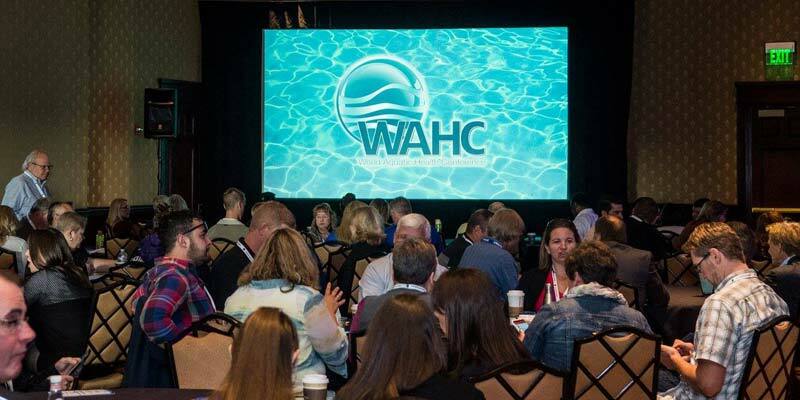 The 2018 World Aquatic Health™ Conference (WAHC), hosted by the National Swimming Pool Foundation (NSPF), will take place Oct. 10-12 at the Charleston Marriott in Charleston, S.C. This marks the 15th year for the annual educational conference for aquatic industry professionals, which allows industry professionals to discuss, learn, and network with like-minded people. 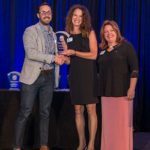 According to the NSPF, last year’s event held in Denver, Colo., was the largest conference ever, with 420 attendees representing 12 countries and with speakers hailing from the U.S., Canada, Israel, and the U.K. The seminars held during this scientific conference cover a variety of topics, including health benefits and aquatic therapy techniques, drowning prevention, facility management, public health, new technology, advanced chemistry, advanced service concepts, and the Model Aquatic Health Code (MAHC). Attendees also enjoy pre- and post-conference meetings and events. The WAHC also offers poster presentations, tabletop displays for sponsors and non-profit organizations, an insider’s tour of local facilities, a welcome reception, and a closing ceremony with prize giveaways, including a complimentary 2019 WAHC registration or booking at the conference’s host hotel. For all parties interested in speaking at this year’s WAHC, the call for papers is in effect until Feb 2. 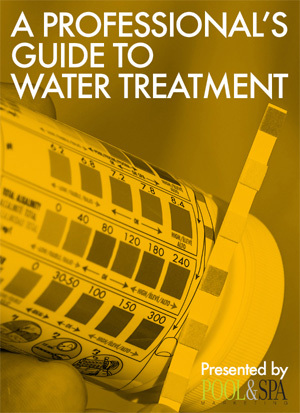 For more information, visit theWAHC.org. Early-bird registration opens on April 2. 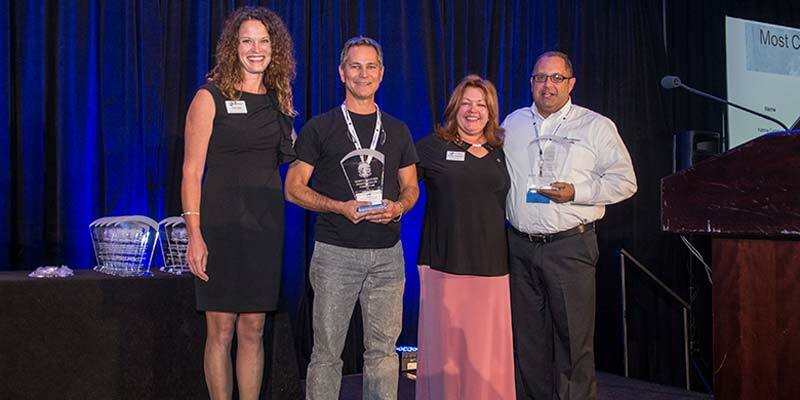 The NSPF also recently honoured the organization’s active instructors for extraordinary performance in 2017. 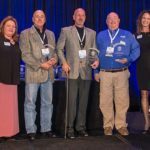 Many individuals and three companies received awards for their commitment to excellence in keeping pools safer and open. 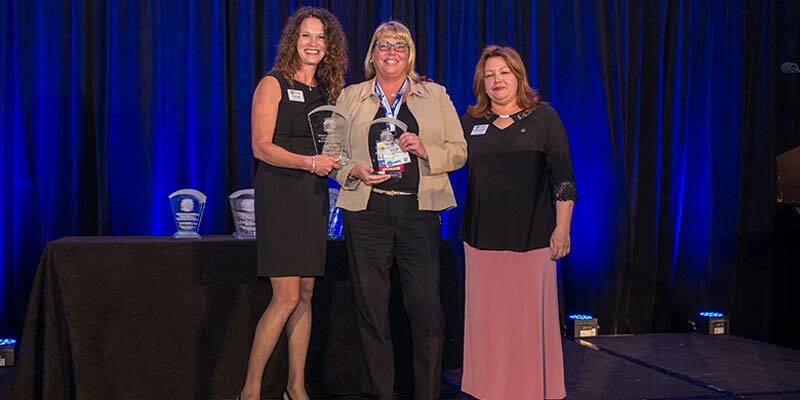 The recipients were awarded by NSPF representatives at the International Instructor Update Meeting, which was held prior to last year’s WAHC. 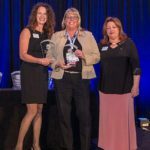 Two new instructor awards were presented in 2017. ‘Enduring Instructors’ are those recognized for delivering the most consecutive years of exceptional instruction. Recipients were Kurt Carmen of Aquatic Council LLC, who has been an active NSPF instructor for 32 years and has certified 8889 students. Gilbert Daws of Gil Dawes & Associates LLC was also awarded for 32 years and 4173 students certified. ‘Exceptional Instructors’ are those who have demonstrated teaching methods and student support at an extraordinary level. 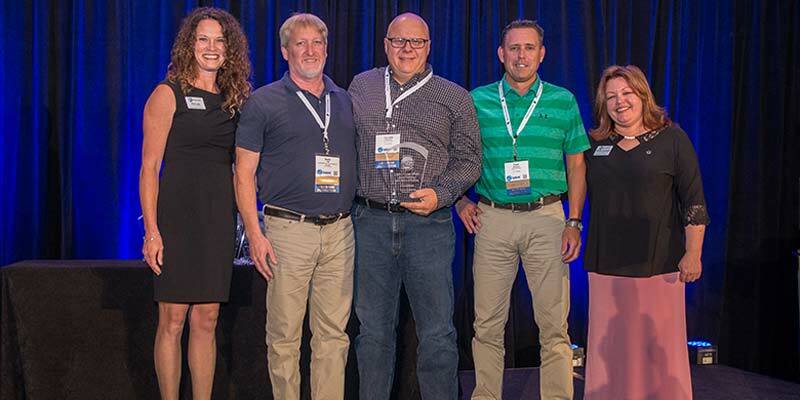 Recipients were Rudy Stankowitz of Aquatic Facility Training & Consultants in Florida, Rick Stewart of Pool Training Academy LLC in Colorado, and Wayne Ivusich of Taylor Technologies Inc., who is also regular contributor to Pool & Spa Marketing. Stewart was also recognized as an Enduring Instructor for 32 consecutive years of instruction. Katrina Campbell of Pool Operation Management (325 students taught). 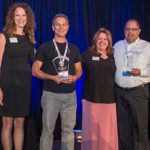 Michael Piciulo of Pool Operator Training and Jeffrey Kopp of Horizon Commercial Pool Supply were also honoured in this category. Jordan DiGuardi of Pool Operation Management (certified 411 students). 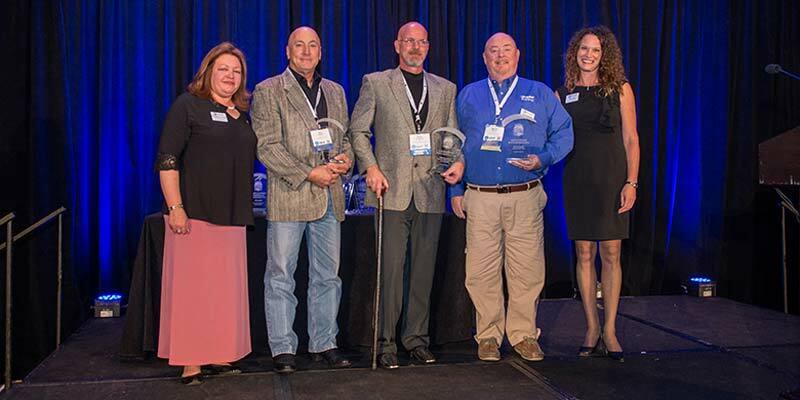 Brian Goldojarb of HD Supply Facilities Maintenance and John Donovan of NV Pools Inc., were also recognized in this category for building on their history of success as previous top instructors during their first year 2016. Timothy Auerhahn of Aquatic Council LLC (taught 782 students in 2017). He has been an NSPF Instructor since 2010. 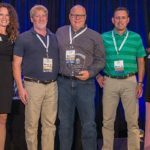 Steve Scheuer of Certified Pool Trainers Inc., and Robert Freligh of Nationwide Aquatic Consulting were also recognized in this category. Terry Hommel and Richard Deyo of Ecolab Inc. (both certified 190 students online through the blended learning). Jean-Pierre Lajoie of Distributions ASI Inc., in Quebec (certified 95 students). He has been an NSPF Instructor since 1997. Leslie’s Poolmart Inc. (certified 2005 students). Pool Operation Management (certified 1683 certified individuals). Alberta Health Services (AHS) (certified 486 students). In 2012, the company began offering CPO® Certification courses across Alberta in response to their government’s introduction of new pool standards. 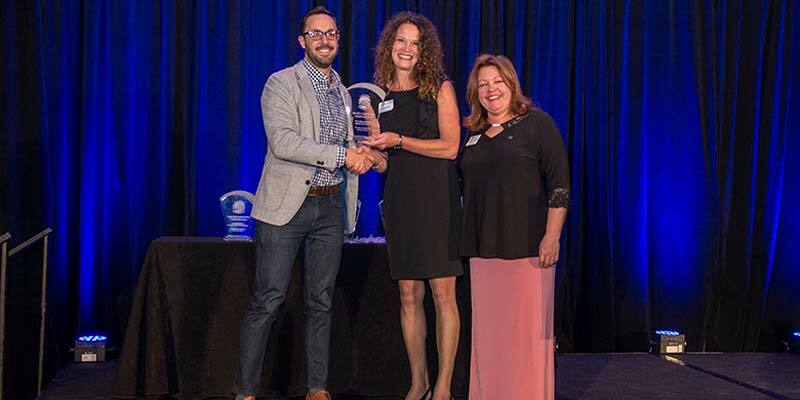 The City of Ottawa also received an award in this category with 239 certified individuals. For a complete list of all winners, visit https://www.nspf.org/news/nspf-honors-top-field.